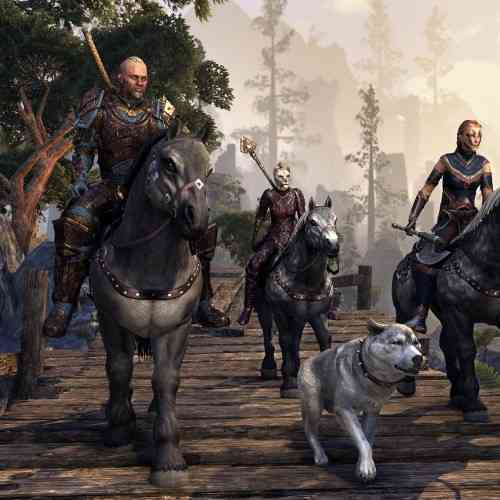 The lands of Tamriel abound with many legends – from the wild expanses of Valenwood and High Rock to the dank sewers of the Imperial City, The Elder Scrolls Online: Tamriel Unlimited caters to those of us who yearn for adventure and story in our games. 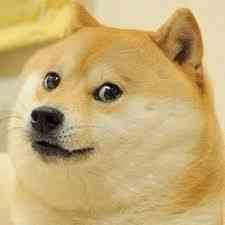 And lately, whispers have been heard of a new adventure unfolding far off in the rocky land of Wrothgar. Orsinium, the ancient capital of the Orcs, long abandoned after its destruction in the First Era, is being rebuilt once again. A celebrated and little-known part of Tamriel, Orsinium is an area not seen since Daggerfall. So, naturally, I decided to heed the call and set off for the Wrothgarian mountains. What I found in Orsinium was a deep, engaging experience that was worth the price, and one that I recommend for any Elder Scrolls Online player who is looking for new reasons to get back into the game. 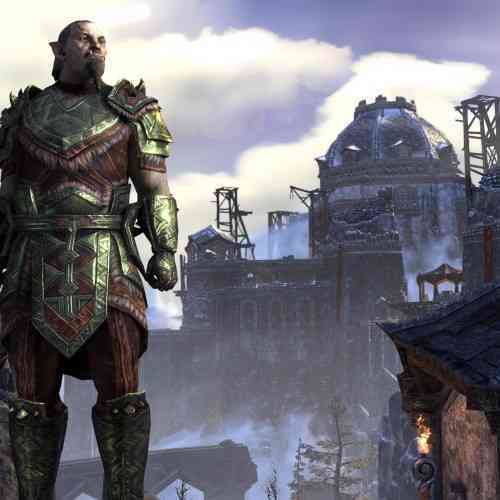 The Orsinium DC costs 3,000 crowns on the ESO:TU store, meaning it is a little on the pricey side – $24.99. For that kind of money, there is an expectation that players will get quite a bit of new content. And from what I saw, Orsinium delivers on that promise. There is well over 20 hours of new game content available, with a completely new main storyline quest, and lots of smaller quests open to you in the Orsinium hinterland. The sheer size of the new map is breathtaking, and will appeal to players (like me) who love to simply run around and explore. 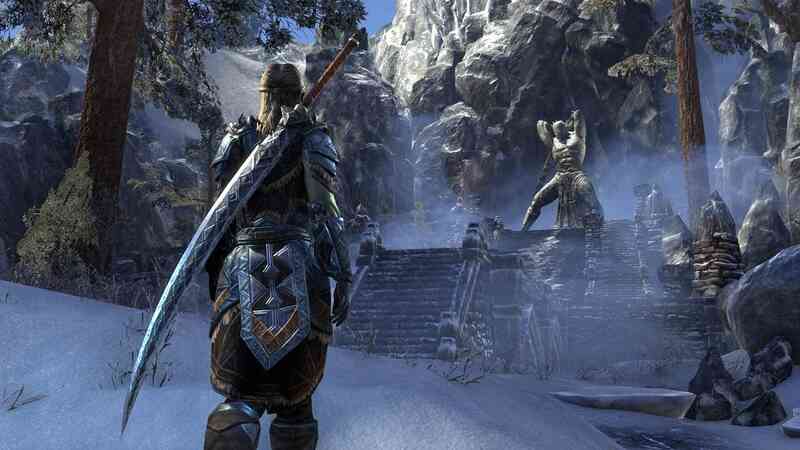 I found Orsinium did a great job of giving me freedom to experience things as I chose – I could do the main quest, or I could veer off and go my own way for a while if I chose. In fact, the game even encouraged me to do the side-quests sometimes by making me wait for someone to find me before the main quest would continue. The game’s previous expansion, Imperial City, was not nearly as open-ended, as areas of the city were locked out until you finished prerequisite areas. 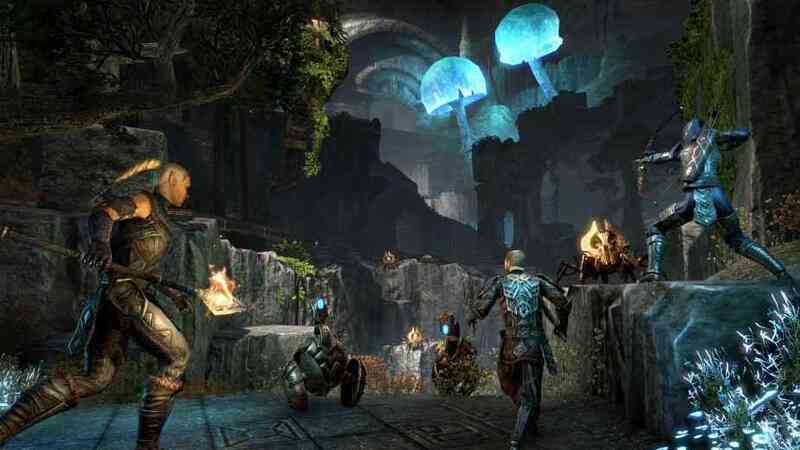 Speaking of which, I was a little wary of Orsinium due to my bad memories of Imperial City’s daunting difficulty-level. As you will recall in my Imperial City Review, enemies in that DLC were very tough, and it was not a fun experience if you weren’t a Veteran rank. But fear not, I can say with relief that those of us who are not hard-core players can still get full enjoyment out of this DLC. Orsinium adjusts the difficulty level to you, so that you will face an appropriately-fair challenge no matter who you are. And also unlike Imperial City, you don’t need a group to play this DLC, which is important since finding a group to play with has been a challenge in this game generally, in my experience. I thought all of these tweaks were a great move by the developers, and I wonder how much it was motivated by feedback on Imperial City. 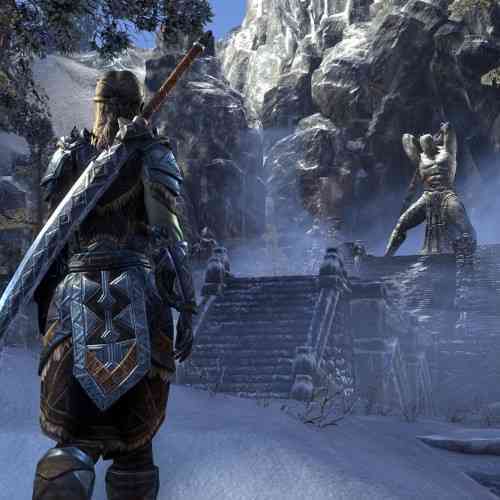 The main quest itself is, in many ways, the typical kind of Elder Scrolls quest that players of the series will find very familiar. You travel to Wrothgar via a Waypoint Shrine, and you will immediately come upon a messenger who will trigger the quest in conversation. Then, off you go up the Wrothgar mountains to start your journey. You will soon find yourself in the middle of an epic struggle, as King Kurog of the Orcs is in the midst of trying to revive Orsinium, but of course, there is lots of intrigue, conflict and diplomacy afoot. Kurog has many enemies who wish to see him brought down, and the Orcs are in disarray – you will be right in the thick of the action, playing a key role in how these events unfold. 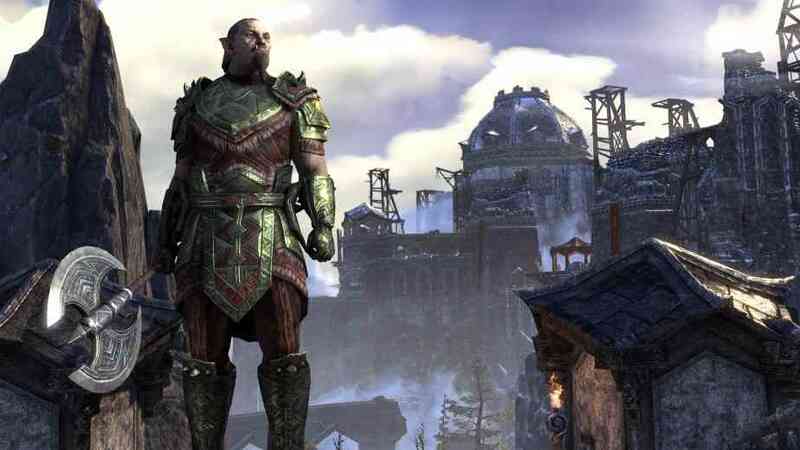 Now, the cynic might point out that Orsinium’s storyline is all well-trodden ground for Elder Scrolls quests, and I would agree – the story follows a pattern that will be almost predictable for anyone who has played games in this series before. 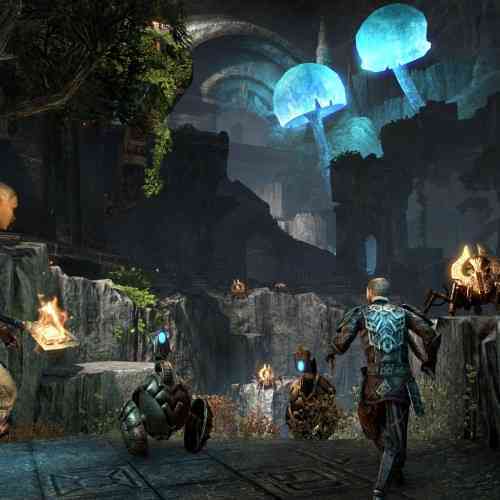 But I must say, I was totally ok with that – Orsinium feels like a return to what I loved about the series, and I thoroughly enjoyed my time with it. No, it did not throw any radical changes at me, and it stuck to a fairly safe structure. And yes, the fetch-quest flowchart is still the go-to narrative approach at Zenimax; go see this dude, tell that other lady what he said, and so on. But to be honest, that is what I was hoping for after my confusing – and bruising – visit to Imperial City’s sewers last time around. There are also some compelling and impactful moments in Orsinium that make this one of the better Elder Scrolls quests I have played. I don’t want to give any of it away, but let’s just say that you will be forced to make some very tough choices in this quest, and those choices will have real influence on how the story turns out. 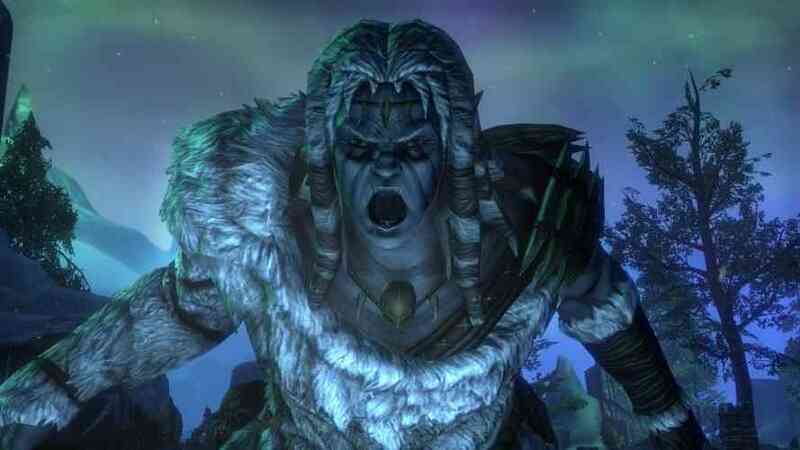 And I also felt that the Orsinium DLC storyline draws beautifully from the Elder Scrolls narrative universe, and the story of the Orcs and of Orsinium’s history is one that I recommend for any Elder Scrolls fan. This is a group, and an area of Tamriel that has not really been detailed in a long time. Many Elder Scrolls fans, myself included, have been waiting for more story content and details on this part of the Elder Scrolls universe, and Orsinium does not disappoint. There is also a really cool aspect that has been built into the Main Quest, in which the city changes in appearance as you achieve objectives. You see the effects your actions are having, and it really makes you feel like this is a genuine, living world that you are connected with. And that world is also full of lots of equally-interesting smaller quests, in which you help various individuals, both commoner and Chief, solve their problems. By doing so, you’ll get the chance to earn lots of cool new loot that is newly-introduced to ESO:TU with the Orsinium DLC. I liked how I earned new weapons and armor as rewards for completing the DLC’s quests – there is a real incentive to fully explore this region’s map, and unlock all of its rewards. The “20 hours of content” quoted by the developer is, possibly, a conservative estimate, and questing will keep you occupied for a long time. Aside from all the quests, Orsinium offers the Maelstrom Arena, which is a progressive challenge open to all players. Again, if you are a lower-level player, you don’t have to worry, as this area is scaled as well. This is a very fun challenge that offers you some pretty good rewards, depending on how far you are able to get – and how long you keep at it. There are also 2 new public dungeons, which again can be run by individuals as well as groups, unlike the Imperial City dungeons. Keeping with the freedom aspect of the Orsinium DC overall, you can drop into the Arena whenever you please, and there is a real sense that it is there as a break from questing for those who want one. Visually, Orsinium is beautiful, as is most of the ESO:TU as a whole. The mountain landscapes are suitably epic, and the underground areas are full of mystery and wonder befitting this epic MMORPG. There are the usual bugs and collision-detection issues that seem to be a hallmark of the base game (and the series), but at this point, I have almost come to just accept them to a point that they do not really bother me. 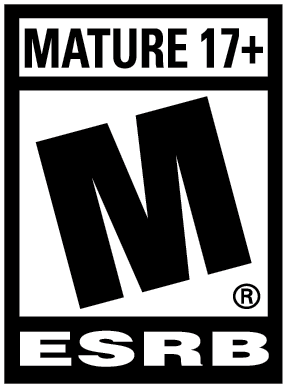 Some players might also find the visual blips to be annoying, however, especially in our current generation of gaming. 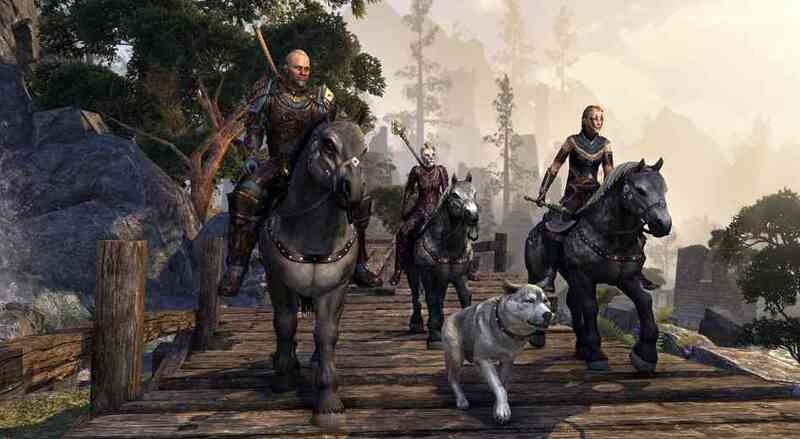 Overall, The Elder Scrolls Online: Tamriel Unlimited Orsinium DLC is a little bit on the pricey side for a DLC expansion, but it does give you a lot of new content – and I think it is worth the purchase for anyone who has been playing the base game consistently and is looking for something new. The region in and around Orsinium is vast and epic and full of interesting things to do and see. The story is rich and compelling, and unlike some quests, your actions and decisions really matter. This is also a much more accessible DLC than its predecessor, Imperial City – Orsinium welcomes all players with open arms, so fear not if you are worried. Despite the usual fetch-quest structure and the occasional graphical hiccup, there is lots to love about Orsinium, and I urge any denizen of Tamriel to take up King Kurog’s invitation and help him restore the Orc capital to its ancient glory.